Selling Your Home: IS Your First Offer The Best Offer? It’s a seller’s market, but should you be too picky when it comes to accepting a buyer’s offer on your property? Wow, how exciting! We listed your home for sale and you’ve already received an offer at your asking price with 20% down. Congratulations! Wait…ANOTHER offer has come in as well and it’s OVER your asking price, but with a 100% financed loan. Okay, another one has come in at slightly below your asking price, but it’s an ALL CASH offer. This type of scenario is happening with incredible frequency in today’s market, especially with the low inventory here in the Santa Clarita Valley. This, coupled with incredibly low interest rates and loan incentives for qualified buyers is helping to fuel a rapidly recovering real estate industry. After several years of repressed prices and foreclosures, we’re once again seeing double digit growth in equity and housing prices. You can accept only one offer on the sale of your property. 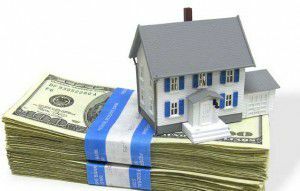 However, you do have the option of holding the other options in backup position in case the original buyer falls out of escrow or the transaction is cancelled. You have the right to accept or refuse any offer that comes to you from a home buyer. Even if the offer is at your asking price (or above). Counter, short for “counter offer” happens when a seller replies to the buyer with additional terms or conditions that the buyer must accept in order for the home purchase to continue. Be advised, the buyer can counter your counter offer, and in some cases several “counters” may occur before an agreement is reached or the offer is cancelled by either party. So which home purchase offer do you choose? Based on the above scenario, your decision might be a bit tricky. Some home sellers might think the highest offer is the best offer, however in some cases offers that come in above your asking price may be a double-edged sword. Remember that the home must still appraise at a value equal to or above 80% of the buyer’s home loan. If it doesn’t, the buyer either has to make up the difference of the value in cash, or they have the choice of walking away from the purchase offer, leaving you back to square one. As for the all cash offer that was slightly lower than your asking price, you’ll definitely at least want to consider the possibilities that come with an offer of this type. A cash buyer does not have to wait for loan approval, leaving the possibility of a last minute disqualification of funding out of the picture. Cash buyers are also in a position to waive some of the other purchase contingencies, thus making the escrow process go much faster. Beware however, in some cases, all cash buyers may be in a hurry to close escrow, and may not wait around if you require a longer escrow period before the sale closes. Finally, the original offer that included your asking price plus a 20% down payment. Think wisely about this. They are giving you what you ask for, and as long as they are on good, solid footing with their loan pre-approval (which you should ALWAYS demand before accepting an offer), then this may be one of the best options available. Ultimately, the best purchase offer is the one that satisfies all of your home selling wants and needs. The decision is yours. However we will be there to guide you every step of the way and help you explore all of the options available to you. We’ll discuss the benefits and risks of each offer that comes to you, and answer all of your questions and concerns before you sign off on any offer.